Hockey Talk, hosted by Shannon Miller, is sponsored by IN STAT. On this week’s episode Shannon’s guest is hockey legend Jayna Hefford who has recently been inducted into the Hockey Hall of Fame and appointed Commissioner of the Canadian Women’s Hockey league (CWHL). They discuss her vision for the future of the sport in Canada and the role and responsibility of the position at an important time in the women’s game. Shannon’s topic this week is Power, Responsibility and Power Play. The Drill of the Week video is posted every Thursday on Shannon’s Facebook page. Being on the PP is an honor – it’s fun – and it’s a lot of responsibility. The PP players must match the intensity of the opponents PK or you will lose your player advantage! Early on in the season, you want to create two units that are very good and finely tuned. Use talented players that are willing to move the puck, share the puck and that have good chemistry together. Build your PP creative attacks around your players strengths – work to your strengths – and talk with your players and allow them to have input into what you will be doing. Once you’re established as a team, and your top two units are humming, add an additional unit if you have reasonable talent – it’s a way to reward players that deserve a chance. Having a 3rd unit allows your top players to also practice on penalty kill. As for the top 2 PP units – if your working to their strengths, you will likely have 2 different breakouts and set plays in the OZ – all good! Have a set plan with different options but also read the game and be instinctual and creative. On the breakout, encourage the goalie to be involved when the PK players are changing. If the puck is above the dots and out of reach for the goalie, the goalie should be yelling “up, up” – the Def need to get their skates up ice and get the puck up the ice quickly. A typical PP breakout is a controlled breakout – that’s when the puck is all the way down the ice and below the dots. A defense player will pick up the puck and wheel with teammates swinging to support OR stop and set behind the net and run a set breakout play. On the PP you have numerical superiority – it’s a 5 v 4 – so when there is a loose puck, make sure you have numerical superiority – they have 2 you have 3 – they have 3, you have 4. Once you have possession, play with poise – be confident – play the possession game. In the OZ, encourage your players to rotate, to be interchangeable and to try creative plays. Yes, you have set plays to run, but allow some freedom and instinct to kick in. Practice repeat passing and shooting off the pass. Repeat passes and one time shooting are critical for good PP. If the player cannot shoot off the pass, teach them to gather it quickly and get off a quick release shot. Teach your players how to be deceptive when on the PP – encourage them to not telegraph their passes – to fake a shot and then push or pull the puck to get an open shooting lane. It’s important for the PP to work hard to create quality shots/scoring chances, but then when you get the opportunity to shoot – shoot! The PP unit is looking for seams to attack – they must skate aggressively, move the puck with authority and deception – this will open up seams to attack. Points shots need to get through – if there is someone the shooting lane, the player can push/pull the puck to gain a new shooting lane – BUT players can also shoot off the back wall – it’s an indirect pass – FW hunt down the puck as it comes off the back wall, get possession and attack quickly – the goalie may have trouble tracking the puck off the back wall, and be out of position, giving the FW a better chance to score. Take point shots to strong side as it gives you advantage for scoring on rebounds. After a point shot is retrieved, passing it back up to the point is a good play bc the PK will have collapsed to the net. Points of Control on the PP are typically up high on the blue line – middle + behind the net. Shots from the slot, in tight around the net, and rebounds go under the cross bar. Encourage the players to be aggressive and creative on the PP – move, move the puck, rotate, open up seams and then attack aggressively. Under pressure, play with confidence – the possession game – keep your feet moving, turn away from pressure, protect the puck – and know that teammates are skating to support you so that you can move it and maintain possession. Work hard to create holes/seams to attack and then attack aggressively. A good PP gives your team energy. PP chances to score give creates offensive pressure and gives the team confidence and energy. A bad PP takes energy out of your team. REMIND your PP – it’s a privilege and a responsibility – they must match the intensity of the PK or lose the advantage. REMIND your PP that you trust them to be creative, have poise with the puck, to try new things and play with instinct! Side Bar – Personal Power – When others try to stifle our potential and cage our spirit with demeaning comments and cruel behavior, it’s typically for reasons of jealousy, race, sexual preference, appearance and many other things. People can try and stop you from ascending, from pursuing and reaching your goals – but do not give them that power – keep your own personal power. Do not listen to these people, as they will try to limit your abilities, which will create a ‘limited self’. Refuse to be bullied, be stronger than they are and keep your own power. 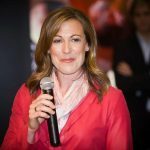 Today’s guest is Jayna Hefford – a long time TC super star, a recent inductee into the Hockey Hall of Fame, and presently the new Commissioner of the CWHL. Born in Trenton, Ontario on May 14, 1977, Jayna moved with her family to Kingston as an infant. The family loved hockey and Jayna followed suit, beginning to skate at the age of six. The game came quite readily to Jayna, and by 1994, she was a member of Ontario’s championship team in the inaugural women’s under-18 tournament. A year later, she was a member of Team Ontario at the Canada Winter Games, captaining her squad to the gold medal. Hefford was the World Championships’ leading scorer in 1999 and in 2000. While attending the University of Toronto in 1996-97, Jayna starred with the Lady Blues, finishing the season as the OWIAA’s top scorer and also earned rookie of the year honours. 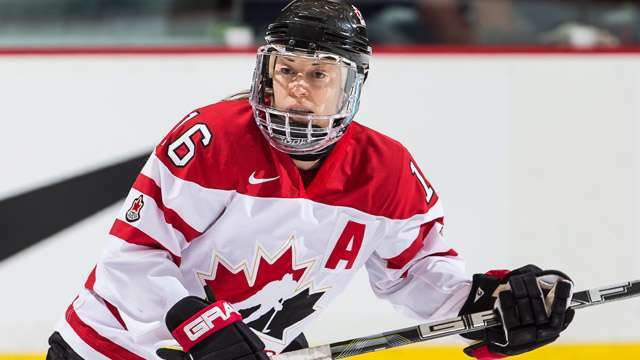 She was invited to join the Canadian squad that went on to win the gold medal at the International Ice Hockey Federation (IIHF) World Women’s Championships. This was the first of an incredible 12 World Championships in which Jayna would participate. She and the Canadian team collected seven gold medals and five silver medals during this time. 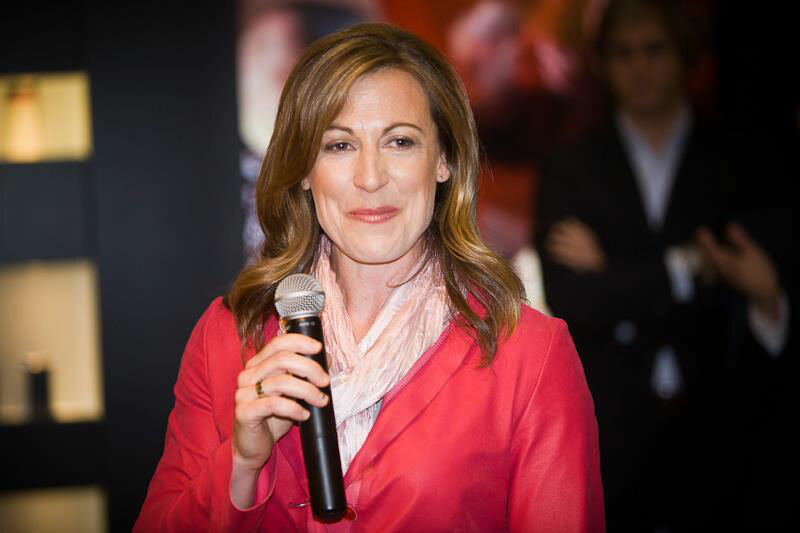 A five-time Olympian, Hefford collected gold on four occasions. While the team excelled through the championships, it was propelled, in large part, by Jayna. In 1999, she was the tournament’s leading scorer. She repeated that feat at the World Championships in 2000. Moving ahead to 2004, in Jayna’s fifth IIHF World Championships, she was selected to the tournament’s All-Star Team, and also received the Directorate Award as the Top Forward. She won the Directorate Award again in 2005. 1998 was a pivotal year in women’s hockey as it marked the first time that the Winter Olympic Games were opened to women’s hockey. Jayna was selected as a member of Team Canada for the tournament in Nagano, Japan, and flew home with the Olympic silver medal. At the 2002 Olympics, Hefford scored the winning goal in the deciding gold medal game. Jayna ended up participating in five Olympic Games for Canada. After the silver in Nagano, she and Team Canada went on an amazing run, winning gold in Salt Lake City, Utah in 2002, gold in Turin, Italy in 2006, gold in Vancouver, British Columbia in 2010 and gold in Sochi, Russia in 2014. Hayley Wickenheiser is the only other woman to play for Canada in each of these five Olympic tournaments, and Hefford and Wickenheiser, along with Caroline Ouellette, are the only players to earn four consecutive Olympic gold medals in women’s hockey. Team Canada benefited greatly from Hefford’s offence. At the 2002 Olympics, she scored what would become the winning goal in the deciding gold medal game against the United States mere seconds before the end of the second period. Hefford retired as Canada’s second leading scorer all-time in international competition. At the Esso Women’s National Hockey Championship, Hefford was named Top Forward three times – 2003, 2006 and 2008. While playing for the Brampton Thunder in the National Women’s Hockey League (NWHL), Jayna was the league’s top goal scorer and scoring leader in 2000-01, 2002-03, 2003-04, 2004-05 and 2006-07. She retired as the league’s all-time goal-scoring champion with 252 goals between 1998-99 and 2006-07. The Canadian Women’s Hockey League (CWHL) was created prior to the 2007-08 season, and Jayna led the league in goals (26 in 27 games), and was added to the CWHL Central All-Star Team, as well as being named the league’s Most Valuable Player. The next season, Hefford set league records with 44 goals and 69 points in 28 games. She won the Angela James Bowl as the leading scorer in 2008-09, was named the CWHL’s Top Forward and was named to the league’s First All-Star Team. After sitting out the 2014-15 season, Jayna retired from Canada’s National Team. Her 267 games played, 157 goals and 291 points for Canada are second only to former teammate Hayley Wickenheiser. The awards have rained down on Jayna in honour of her exceptional hockey career. In 1998, she was named Kingston and Area Amateur Athlete of the Year. Her number 15 has been retired in Kingston, and no sweaters with her number are used in Kingston Minor Hockey. In 2002, Jayna was inducted into the Brampton Sports Hall of Fame, and in 2016, the CWHL introduced the Jayna Hefford Trophy, awarded annually to the league’s most outstanding player in the regular season.